What passes for predictive modeling today is like Google maps, except the app tells you when to turn a half-hour after you’ve passed the intersection. By the time adjusters figure out a claim has gone off the tracks, it’s often too late to do anything but increase reserves. That’s because there’s no real-time monitoring, no way to clearly and definitively identify when – exactly – that happens. A promising approach is in the works at Gallagher Bassett. Building off research conducted by Johns Hopkins, GB has developed a tool that enables real-time monitoring of medical services delivered to its claimants. Using a proprietary platform, alerts are sent when patients’ quality of care is headed in the wrong direction. The trigger is inappropriate medical treatments. GB matches medical bill data with evidence-based treatment guidelines, with each service, procedure, or medication individually assessed. As the number of inappropriate treatments increases, alarm bells ring. Of course, that doesn’t mean all treatment that is non-compliant is inappropriate. However, much is, and there’s a clear – and quite strong – correlation between bad medical care and lousy claim outcomes. Those are clinical words and hide the real import of GB’s approach. Getting claims back on track means patients get better faster, AND the risk of bad outcomes from inappropriate surgeries, injections, drugs, and tests decreases. There’s lots of data out there – and far too little smart use of data. This is promising indeed. California’s State Fund is working to fix many of the issues, while better delivering on the intent – ensuring patients get the right care, quickly. The UR Connected program is starting with the Fund getting its own house in order. The intent is to automate much of what is now manual, and in so doing eliminate much of the administrative burden, speed up decisions, and reduce frictional costs for all parties. Paper, fax, or clearinghouse submissions will still be accommodated. I’d hazard a guess that after initial teething problems, the Fund and treating providers will also see a significant reduction in errors, and much faster turn around times. Phase One, now pretty much complete, is best described as an automated rules engine development and construction project. It is focused on figuring out all the State Fund’s back office functions involved in care approval and payment. Internal business rules, processes, regulatory requirements, and workflows have been documented and automated; they will be continuously updated. In May, the State Fund will push to get larger providers electronically tied into the system, which should drastically reduce all parties’ workloads. 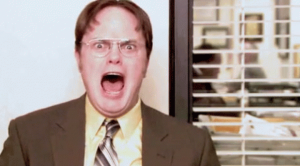 Today, the doc’s office sends Requests For Authorization by fax, State Fund staff enters the data into their system manually and then sends the determination back – via paper. This isn’t much different from how every payer handles UR in every state, and yet it is mind-boggling that we work this way in 2019. In the future the goal is to have as many of these RFAs possible handled electronically, with providers accessing the system via a portal or direct electronic integration. Expect the State Fund to being pushing this out to their larger providers first, then to those with a high volume of legitimate RFAs. In a discussion with State Fund staff, a spokesperson noted that while workers’ comp patients are a relatively small portion of the typical providers’ case load, the administrative burden is greater – which will motivate them to build connections to the Fund. Down the road just a bit is integration with bill payment. As an RFA is a request for approval for the entire care process, when automated the bill review process becomes more of an invoicing function; when the services come to BR most of the information needed to process the reimbursement request is already there. The State Fund is going about it in the right way – the result should be improved care, lower barriers to access, and less frustrated providers. The information every work comp professional needs is ready – the annual comparison of every state’s workers comp laws is available here. Put together by the experts at WCRI and IAIABC, it includes laws for each of Canada’s provinces too. Oh, and in case you missed it, you can still get WCRI’s compilation of state laws on treatment guidelines and medical management here. From NCCI we get a report on the impact of changing workforce demographics on injury frequency. One major change from previous research – older workers are getting injured more often than their younger co-workers. That’s a significant change, and one we need to monitor carefully. If you want to know what your REAL cost of healthcare is, check out the Kaiser Family Foundation’s healthcare cost calculator. Plug in some basic information, and – spoiler alert – be shocked. Finally, there’s much talk about Medicare for All, who supports what, and all that stuff. 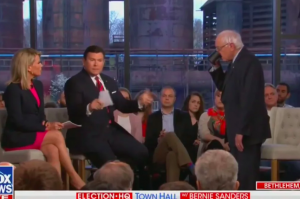 And, a majority of people in a Fox News “town hall” indicated they support MFA, surprising Bernie Sanders and his interviewers. Find out how much support there really is here. Sorry, too darn busy this week to get my usual 4 or so posts in. 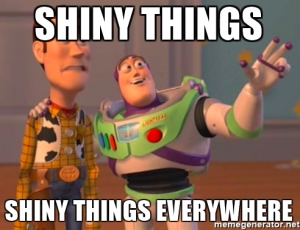 Had a very interesting conversation with a work comp services exec earlier this week which got me thinking about “portals” – those internet entry points where payer staff can access bills, reports, notes, alerts and other documents and messages about their claims. The point the exec was making was that management always wanted to see and hear about the portal – but desk-level folks rarely used it. Adjusters and case managers preferred emails and other more direct and specific communications over logging into and clicking thru a portal to find specific information. And, user preference for direct communication was overwhelming. The exec’s point was a lot of resources are devoted to developing, implementing, upgrading and maintaining these portals – which aren’t used by the very folks they are built for. In a very unscientific poll, I asked a few other contacts about their customers’ use of their portals; all agreed that desk-level users didn’t use them much – if at all. There’s a critical point to be made here – the people who make buying decisions want/demand that potential vendors invest a ton of brain power and dollars into a thing that doesn’t add any value. What does this say about payers; I’d suggest it shows a disconnect between the buyers of services and the users of those services that is rather striking – and all too common. Let me go further – the buyers need to understand they are serving the needs of the desk-level folks. Anything and everything the buyers – who are almost always higher-paid and have nicer offices than the people who actually do the work – do should be grounded in and specific to how the users actually do their jobs. I would argue that the “blame” for this is shared by vendors, who need to do a MUCH better job challenging buyers’ firmly-held-and-very-wrong perceptions. But that’s pretty unfair, as buyers tell potential vendors what they want, and if your proposal doesn’t check the “portal” box, you’re toast. The larger point is even more disturbing; I daresay this isn’t the one-and-only example of the management-worker disconnect. Example – in our bill review and UR services, execs believe UR and bill review are connected via EDI or directly while users emphatically disagree. I’d love to hear what you think. Shoot me examples of the management-user disconnect in the comments section below to help focus us on stuff that actually helps the desk-level folks do their jobs. There’s precious little “mistake room” in work comp; wasting valuable resources and time on projects with little benefit is dumb. I’m reading Uwe Reinhardt’s last book, Priced Out. Reinhardt, a universally respected and admired economist with a strong focus on healthcare, died in late 2017. He left a legacy of curiosity and compassion – and practical results. 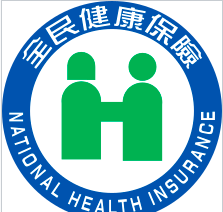 Reinhardt was instrumental in convincing the government of Taiwan to implement a simple and very effective single payer healthcare system. every member has a smart card with their medical records and other key data encrypted. This enables any provider to quickly access key information. costs about a third of the US system. It is by no means perfect; global budgets and a perceived lack of doctors and nurses are frequently noted as problems. Yet it has addressed many of the problems we have with our system – medical record transferability, patient costs, paperwork, overall expense, and administrative expense. The more you know, the better it is. in which I attempt to summarize recent research into workers’ comp and medical management and describe what it means for you. Thanks to Elaine Goodman of WorkCompCentral, we learned this morning that folks who consumed marijuana during recovery from an injury were likely to use more opioids – for much longer – than individuals who did not use marijuana. Implication – This calls into question the idea that marijuana use reduces opioid use. California’s WC Insurance Rating Bureau reported premium rates declined again in 2018 – they are now down 24 percent over the last four years. The combined ratio is at a very solid 91 – BUT that’s a big jump from 2017’s 85. Drug costs are dropping big time. Predictions are the number of retail stores, and the jobs in those stores – are continuing to drop. 75,000 more stores will close by 2026 – that’s seven years from now. Sears, Payless Shoes, Gymboree, ToysRUs, RadioShack, GNC are among those closing stores. Implication – fewer jobs, lots of empty storefronts, distressed malls mean less retail construction – and lower employment in retail. 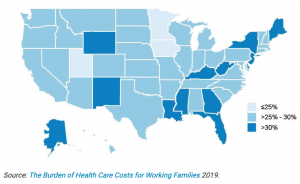 Healthcare costs for working families “rose 27.7 percent from 2010 to 2016…while median household income rose 19.8 percent…” There’s a lot of variation among states. The percentages in the map indicate premiums as a percentage of family income. Implication – Voting families are finding healthcare is increasingly unaffordable, ergo more focus on healthcare in the election. Need to know what states’ work comp UR guidelines are? WCRI’s State Policies on Treatment Guidelines and UM‘s got you covered. If I missed something – and I’m sure I did – please provide a BRIEF summary and a link in the comments section. And happy April to all! We have a healthplan you’ll absolutely love. Covers EVERYTHING – glasses, hearing aids, nursing home care, doctor visits, hospital care, surgery, drugs – all FREE! It’s the about-to-be-announced BernieCare 2.0, aka the “Whole Enchilada Plan”. You can go to any doctor, hospital, acupuncturist, yoga instructor, therapist, or nursing home your heart – or other internal organ – desires. And did I say, it’s all for FREE! On the other hand, there’s the SkimpyPlan – and as the Brits say, it’s “on offer” today. Well, it was until a Federal Judge ruled it isn’t. SkimpyPlans cover, well, not much. Especially if you had one of those pre-existing condition things. You know, migraines, high blood pressure, the “C” word, bad knees, anxiety or pretty much anything else. Oh, and the list of doctors and hospitals is, well, “limited”… and they don’t cover drugs, or pregnancy, or, well, lots of things. But hey! they’re cheap! Affordable even! Ok, enough with the sarcasm, here’s where this is headed. For some unfathomable reason Mitch McConnell and the current Administration think these SkimpyPlans are a great response to the not-hated-any-more ACA. SkimpyPlans are pretty much the only plan offered by the GOP, and they are awful. They are getting hammered in the press as patients find themselves without coverage for needed care, facing tens of thousands in medical bills, stuck fighting faceless bureaucrats in some distant “insurance company” via voice mail. Sure many are covered by their employers, even that is getting unaffordable for many AND sticking families with big bills. 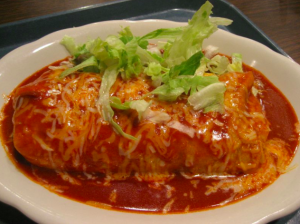 Then there’s the While Enchilada Plan – an end to paperwork, doctor shopping, copays and deductibles, and all FREE. Do you see where this is going? 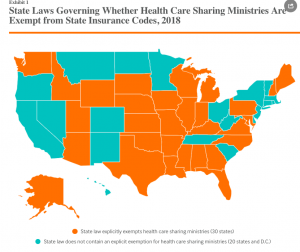 To those who took my April 1 post on the Administration’s decision to use “sharing ministries” as the basis for their new health reform plan for fact – I’m kinda sorry. The April Fool’s post has been a tradition here; this year’s effort caught more folks than most of the previous ones. But after I stopped high-fiving myself, I realized that what was most disturbing was it’s kind of believable. As in, the knuckleheads in the current Administration might actually think “sharing ministries” are the answer to our healthcare crisis. Ha! you say; no one is that naive. To that I say, well, hundreds (ok, maybe scores) of readers thought the post was real, mostly because we’ve been numbed by the endless stream of lies, twisted facts, made-up statistics, and idiotic policy proposals coming out of Washington. 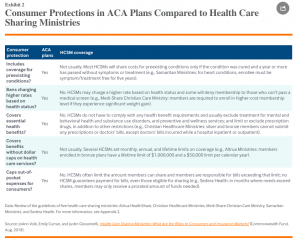 So, yeah, ditching insurance for “sharing ministries” is about the worst “solution” one could come up with. I say this despite the 18 commenters who responded to the post, many happy with their decision to dump insurance and pay into some form of “sharing ministry”. While I appreciate that people of faith may trust others who appear to share their same views, I’d strongly encourage anyone – especially the million of so Americans who already are enrolled in one of these plans – to reconsider their decision. Like, NOW. The net is this – when you NEED health insurance, you REALLY need it. And there are NO guarantees these sharing ministries will be there. A few years back an acquaintance called me to ask for help finding a job; s/he’d been let go after a merger. While we had known each other for some time professionally I’d always found him/her to be hard to reach, not responsive, and somewhat arrogant. When s/he needed something, the expectation was I – and no doubt others – would respond fully and immediately. Now s/he was reaching out for help. And again the expectation was a full and immediate response. I attempted to gently inform the person that they were in a different position now, and would make a lot more progress – and get a lot more help – if they handled things a little more diplomatically. I won’t characterize the response, as I may have misinterpreted it. I sort of understand this; as a buyer, the person was used to being accommodated – if not outright fawned over – by vendors eager to curry favor. 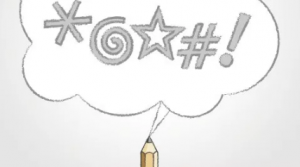 The golden rule applied – S/he who has the gold rules. As I think back on this, I recall being in meetings with this person where vendors were told to improve results. When those vendors attempted to meet his/her needs by suggesting program changes, IT connection improvements, or different communications procedures, the answer was always the same – we don’t have the resources to do that, that’s your responsibility, you figure it out. The net is this. Buyers do not help themselves by bossing potential vendors around, being unnecessarily difficult, demanding, unrealistic and dictatorial. And, often vendors can’t meet certain objectives unless the client pitches in as well. Sure, every payer has limits, resource restrictions, and budget constraints, but expecting a vendor to deliver data to your system seamlessly, consistently, and accurately while refusing to upgrade your technology to allow that is not only unrealistic, it is certain to fail. That’s on the business side. 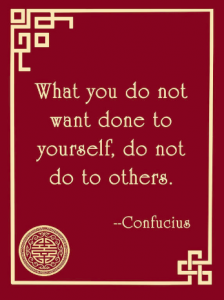 On the personal side, individuals who conduct themselves this way may well find things change when they no longer “have the gold”. Their calls go unanswered, references aren’t provided, job leads not shared. Many vendors have excellent ideas they’ve learned from working with other payers, ideas that can make your program more effective, efficient, impactful. Ask them what you can do to better work together. What worked then, works now. In 1992, worker’s compensation case managers were finding their patients were often unable to get to their doctor’s office, PT appointments, or to the drug store to get their prescriptions filled. 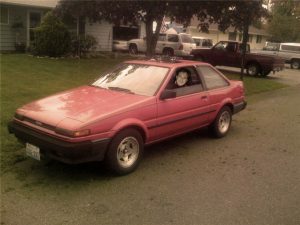 Many didn’t have their own vehicles or relied on friends, family members or public transportation, all with their own challenges. Without prompt care, therapy, and medications, recovery was hampered and disability extended. One case manager found a college student to help, and Cem Kus started transporting her patients using his own vehicle [Cem and the case manager – Janet Kus – are now the co-owners of MTI]. Cem did this for five years – in addition to scheduling and later hiring and managing additional drivers. As time passed, the company hired more drivers, handled the communications with payers, payroll, and dispatching. Just a few years after that first trip, Cem and Janet formed Medi-Trans Inc (MTI) and hired their first person to take incoming calls, handle the scheduling, and arrange for dispatching. What drove MTI’s initial growth was simple – responding to their customers’ need for prompt, accurate, and comprehensive communication. Patients, adjusters and case managers wanted and expected timely updates, status reports, and notice of issues, and wanted their transportation partners to stay on top of files to make sure everyone was picked up on time, arrived, and returned according to plan. It wasn’t just communications. Work comp patients needed a lot more flexibility than the normal cab service was able or willing to provide. So, MTI was flexible in terms of pick up and drop off locations and accommodated patients who needed to pick up medications. The company became adept at handling everything from scheduled care on an ongoing basis – PT visits, for example, and one-time services such as trips to an MRI facility. Fast forward 20+ years, and nothing’s changed. Simply put, MTI thrived for two reasons – because it took work off their customers’ desks, put it on their’s, and treated patients as individuals with unique needs. It’s still about people handling each service, communicating with the parties, and adapting as things change. According to Cem; “we have to be flexible to meet the patient’s needs and keep adjusters and case managers aware if something unusual occurs. That is why we take special instructions and communicate with claimants and update service on a ongoing basis – different customers and different situations require it. The company has just completed a major systems upgrade, allowing for more timely communication and integration of its various services – transportation/translation, DME/Home Health Care, imaging, and PT. But the system won’t replace the personal touch – because it can’t. Patients, physicians, adjusters and case managers needs’ change, sometimes from minute to minute. Quick access to a person who is knowledgeable, experienced, and thorough is critical. It is also something no automated system, no matter now sophisticated, will ever be able to replicate. It always has been, and always will be, about customer service. A national consulting firm specializing in managed care for workers’ compensation, group health and auto, and health care cost containment. We serve insurers, employers and health care providers. © Joe Paduda 2019. We encourage links to any material on this page. Fair use excerpts of material written by Joe Paduda may be used with attribution to Joe Paduda, Managed Care Matters. Note: Some material on this page may be excerpted from other sources. In such cases, copyright is retained by the respective authors of those sources.